These replacement paper bags are open mouthed and can be used again and again. You can physically remove these bags, dump them out, and then place it back into your vacuum. If the bag becomes compromised by being torn or punctured, replace the bag immediately. Please note that these vacuum bags do not provide true HEPA filtration with your Comfort Pro backpack vacuum or Powr-Flite battery backpack vacuum. 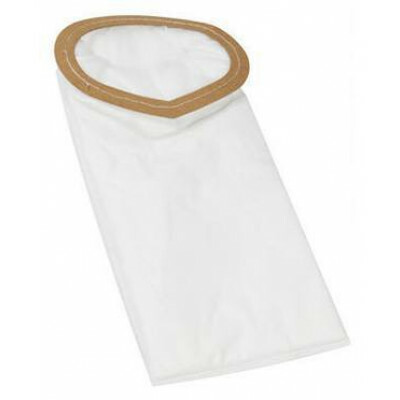 To achieve true HEPA filtration, you'll need to use our HEPA filtered vac bags. We also offer a closed version of this bag, which needs to be disposed of once it fills up. All of these bags come 10 per pack, and can be found in our vacuum cleaner bags department, along with bags for other backpack vacs we offer. Customers who were interested in the Powr-Flite Comfort Pro Vacuum Open Mouth Bags - 10 Pack were also interested in the following items. This is a review for the Powr-Flite Comfort Pro Vacuum Open Mouth Bags - 10 Pack.